-How can I enroll to elementary school again? They're still accepting students in 20s right? -Whoa.. 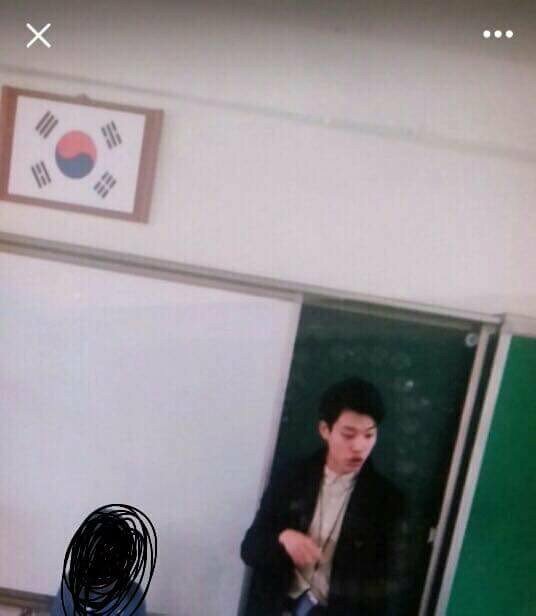 Teacher, I love you..
-I'm sure he was really popular in that school back then..
-Why wasn't I an elementary school student at that time..
-He looks.. really handsome.. in that picture..
-Hul.. He doesn't age at all..
-When was that taken? He really doesn't change even a little bit..
-I'm pretty sure it was taken around 4 years ago..
-Why were there no good-looking teachers around when I was an elementary school student..
-I'm 20 years old but I still want to enroll to that elementary school..
-I'm sure the female teachers talked about him a lot..
-Whoa.. I would study really hard if there were teachers like him in my school..
-He's handsome now but for me, he looks way better without those celebrity make up style.. He looks handsome as an average citizen..
-Why did he look way more handsome back then..? Why do I feel the average citizen side of him is more charming than the celebrity side of him.. What kind of feeling is this..